The highly visual nature of waterRIDE™, combined with it’s intuitive interfaces and unique capabilities, provides an ideal platform for the distribution and management of flood related information. 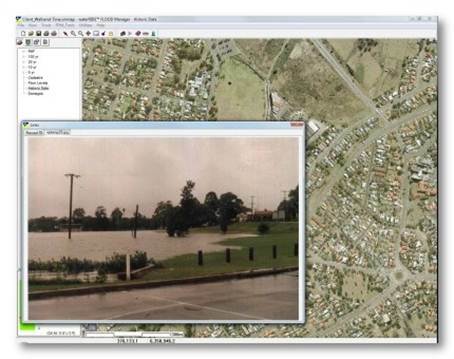 From technical users requiring detailed access to flood modelling parameters, to users requiring more general access to the affectation of that flooding, waterRIDE™ makes sharing flood information in a quality controlled way, easy. waterRIDE™ FLOOD Manager would be used to setup the waterRIDE™ projects and control what information will be made available to various users, whilst waterRIDE™ FLOOD Viewer provides “read-only” access to waterRIDE™ projects across an organisation.